League of Legends is an online multiplayer game that lets players control certain champions and battle other champions. One of the champions that you can choose to control is Katarina the Sinister Blade. She is a melee type champion that can deal devastating damage. This article will be a Katarina cosplay guide. Katarina is also a mobile champion, allowing gamers to move swiftly around to deal damage. The play style that best suit her skills and abilities is that of a mobile assassin. She can quickly jump in and out of combat and deal massive damage to enemies. Katarina is also one of the first champions that were released together with the launch of League of Legends. As one of the first champions, Katarina already has several skins or costumes available that gamers can put on her. It means that people will have several choices when it comes to cosplaying Katarina from League of Legends. Katarina is a Noxian assassin who is exceptional in combat, especially with the use of swords and blades. She is one of the best killers who specializes swiftly killing unsuspecting enemies. As one of the original champions of League of Legends, Katarina already has several skins available. 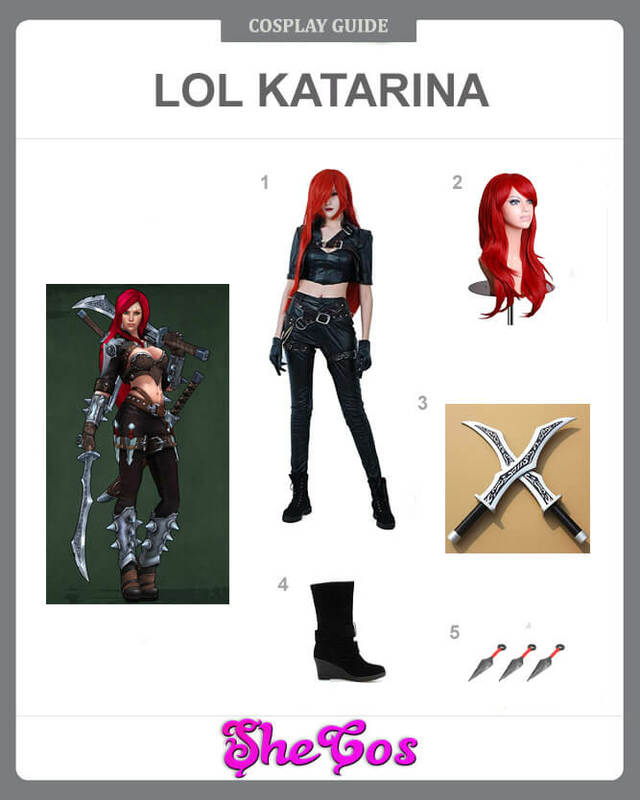 It means that people looking to dress up like Katarina will have several costume options. For this Katarina cosplay set, her original costume will be featured. It consists of a black leather crop tube top with a black crop leather jacket that only covers her shoulders. The outfit also comes with black leather pants with a belt and a knife holder set on both thighs. 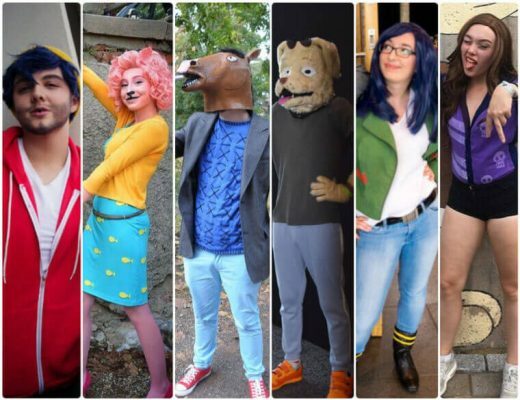 The costume includes the long red wig and black boots as well. For the accessories, the cosplay set comes with a Katarina foam sword and a kunai set that you can place on the knife holder. Katarina is one of the deadliest assassins in League of Legends because of her skills and abilities. She is best used as a mobile assassin, able to move quickly in and out of combat and deal massive damage to enemies. She’s adept at using blades, her choice of weapon. Katarina, though, is not just a ruthless assassin as she is also an attractive woman. Regardless of the skin or costume, you use on her, the champion’s beauty will always show itself. That is why she is also a good choice for ladies who are looking to cosplay League of Legends champions. Looking at the cosplay photos, you can see how good and appealing dressing up as Katarina will look. You get to dress like a beautiful and confident champion who is also fierce and an exceptional swordsman that should not be underestimated.